If you’re like us at CoochieCrunch, you like your Exotica with an extra shot of Sleaze. 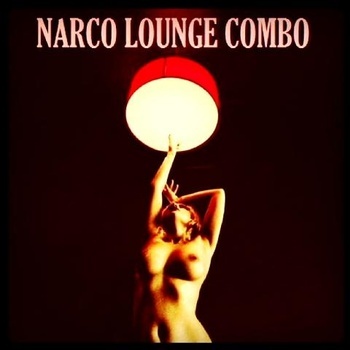 We recommend you check out the new album from sleaze superstars Narco Lounge Combo A Girl Called Jazz. Consider it music to strip to. Check out Narco Lounge Combo working their groove Saturday 2 February 2012 accompanied by booty shakers Violet Vayne, Lou Leigh Blue and Tuesday Laveau. Splendid stuff. Burly girls are really well informed on the whole about the background of burlesque. Some times exotica falls off the radar, hopefully Narco Lounge Combo are doing something to redress the balance. Totally. It’s music designed to take your clothes off too! This entry was posted on February 2, 2013 by coochiecrunch in Coochie Crunch Blog and tagged Bristol, Exotica, Narco Lounge Combo, Richie Paradise, The Cube, Tuesday Laveau.